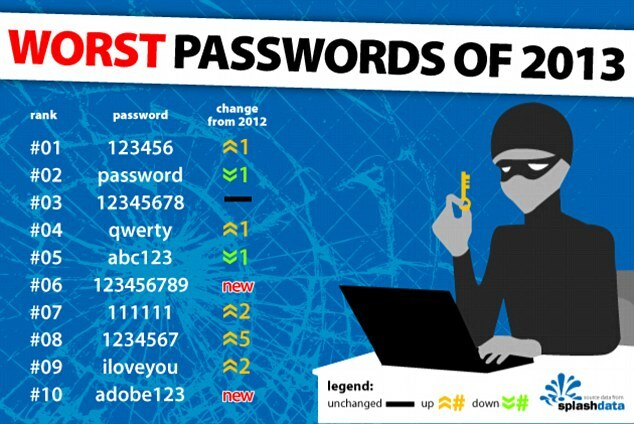 Is it time to change your #password? Possibly not…. Those Daily Mail and Social Media Guru’s have been out in force today. In the annual “Top Ten Guff About Password Security Things”, here’s the Daily Mail link to “Time to change YOUR password?” article. We even get a lovely graphic telling up the top ten (from 2013)…. I’m sure we’ve all got out own horror story to share of some relative that picked a fairly obvious password because it’s easy to remember. Fair enough, it’s not easy and password keeper programs aren’t always the easiest to wrap your head around. What’s often ignored from these articles though is the lack of context I would wager some of these passwords are created. Could be a test account (developers love making test accounts) and in all reality are you really going to rack your brains thinking of a strong password for an app that tracks dog poop from your smart phone? Probably not. William Poundstone made a very good point in his book, “How To Predict the Unpredictable“. Passwords are trade offs for the user. If the user really wants to protect the information they are storing (email, banking and social media for example) then they will pick a much harder password to crack (hopefully). Otherwise they will more than likely go for something that’s easier to remember. Dog Poop app, well there’s every chance they’d go for the name of the dog. Oil or Bitcoin, Mining it costs lots of money. When the cost of mining for a substance becomes more a cost than the substance is worth then you have to cut costs, this can be by stopping mining all together or cutting staff. Today BP did just that. 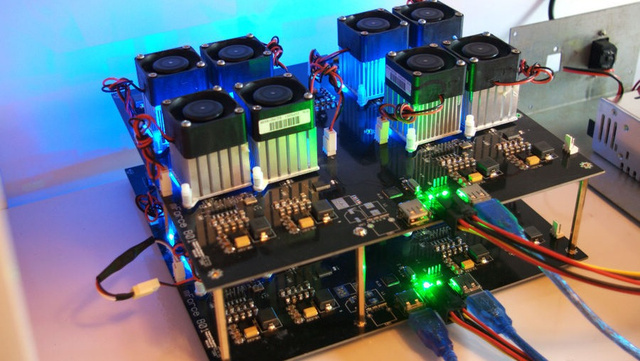 Another commodity has suffered the same sort of problem, mining for Bitcoins is now at the stage where it costs more to mine for them than their actual worth. The heady days of the $1000/Bitcoin are very much over, dipping below $180 this morning. Those who flocked to buy hardware are probably wishing they hadn’t as markets are closing and stop selling the currency. When you take an average from when Bitcoin started until the 13th January 2015 the average price of a Bitcoin is $164.58. BP think that the price of crude oil will stay like this for a good three years or so, perhaps the same could be said of Bitcoin, only then can we start taking it seriously as a payment currency. No one likes volatility. Stepping aside as C-Level isn’t failure, sometimes it’s the best strategy. Sadly some of the tech press were all to happy to let Sophia Amoruso walk up the stairs to CEO poster child and then happily pull the rug when she got to the top of them. You can read all the commentary all you wish, Nastygal’s rise, it’s slump, the layoffs and so on. To be honest I think it’s been handled rather well. For me it was all summed up in one quote, “What got you here can’t get you there”. Sometimes it’s your job to take things to a certain point then let others carry on. I know my own limitations, there are some things I’m happy to do and will take them to their logical conclusion. You might have the skills but someone else can see the landscape far better than you. There are days it’s more adult, more professional and plain kinder to your own stress levels to say, “You’re the right person to do this, not me” and step aside, letting the other person steer the good ship in the right direction. It’s not failure, it’s good strategy. PS: If you haven’t read “GirlBoss” it’s a good read for the lads as well as the lasses. My customer loyalty fascination stems back to 2002 when I worked with Rippledown Solutions (who then became System42 and then Eurdine Behaviour Engine and then rather sadly sank) at a time when Hadoop was a mere glint in a toy elephant’s eye. We got Nector point data ON A CD! Enough for us to tinker and play with. This led me onto further investigation and my ultimate guilty pleasure, the Tesco Clubcard. 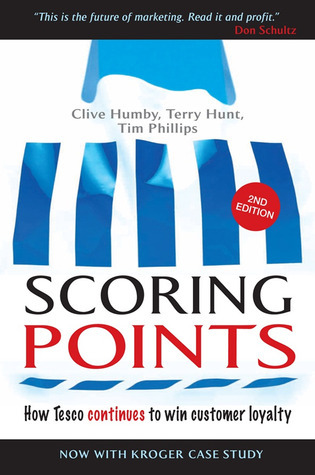 The book “Scoring Points” is the story behind the Clubcard and was the blue print for what I could achieve with the uVoucher loyalty engine, my first startup out of Northern Ireland in 2010/2011 (It’s still there waiting to pounce one day). This morning’s news on Tesco’s woes, planning to close 43 stores and moving BlinkBox on doesn’t come as much surprise, it’s about maintaining the bottom line. 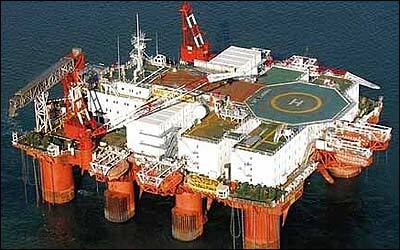 What was a slight surprise is the consideration of moving Dunnhumby on to an interested buyer. I wrote Santa a quick letter… WPP have had their eye on Dunnhumby for a while and were willing to stump up the best part of £2bn for it. With customer buying behaviour of over 700 million people there’s some serious data in there. Why Sell The Keys To The Kingdom? All the above looks quite shocking but at no point have Tesco said they’re going to stop using Dunnhumby for customer insight. So selling the company which has always been operated as a separate entity makes sense. Sell Dunnhumby and inject the cash back into the business and the pay the new owner to handle the day-to-day Clubcard activities. For Tesco to stop using them would be a costly move and would kill the bottom line and, worse, customer loyalty in the brand. The sale makes perfect sense, though I had to have several cups of tea to wrap my head around the ins and outs of it. If I had the cash (Santa never got back to me this afternoon) I’d buy it on the spot, no I wouldn’t make any of it open data, there’s far too much insight and revenue in that information. Basic #coding camps and courses don’t make you #employment ready. I could actually complete this post right here based on the title alone, something tells me that I better explain myself first. Hey! You’re a muso now! 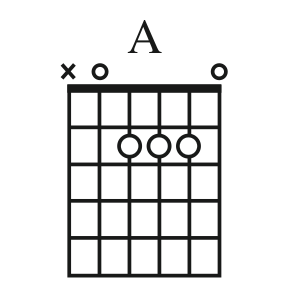 What if I told you that a course on playing guitar and in 12 weeks time you’ll be ready to do a full gig? Depending on your point of view you’d either laugh me out of the room, panic or attempt to jump in with both feet. All those are correct answers, in fact there is no wrong response. In the same way small courses introducing “web” programming such as Ruby On Rails, Python and so on will have you career ready, I doubt it highly. In most cases it’s down to how an participant absorbs new information, some will take the information and jump with it (both feet) and some will just accept what’s presented and stop there. 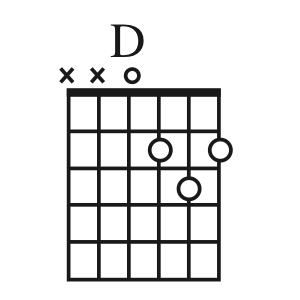 Does the above make you a session musician, able to step in to any situation? Of course it doesn’t. And the same goes for coding courses and camps. Yes they’ll give you the basics but even then you’ll rarely be employment ready as you’ve not come across the day to day challenge of problem solving, dealing with the requirements of managers and so. Software development is still about people. All of that requires experience. 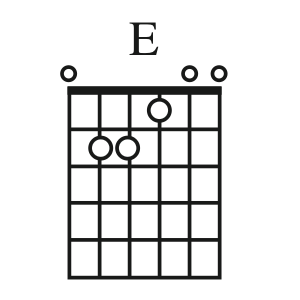 Three chords or the basics of Ruby/Python gives you a foundation to expand your learning, nothing else. After a good 12 week course in web development you’ll have another year or two of getting solid real world experience before anyone will really consider you. There are rare exceptions, ones who show such enthusiasm and a hunger to learn that they’ll go off and code and code just to get better. Like startups, these type of people are unicorns, rare. A quick look on the likes of Jobserve will show you very quickly that you are out of the frame from 95% of the positions listed, the other 5% and the pay is dreadful. Building up a portfolio is fine but it still doesn’t give you commercial experience and that’s what the industry is driven on, not degrees and courses. I know PhD’s with all the knowledge under the sun but when you look at their code…. oh I’ve lost jobs making their code work properly. Don’t dent the ego for the greater good, it never ends well I’ve found. The bottom line is can you, reader, start at a company tomorrow and start making a contribution within 48 hours? Some large companies will run these sorts of code camps and that’s fine but what they are really looking for is that unicorn in the room who can consume all the information and start spinning gold as quickly as possible. Has anyone mentioned how boring it is to be sat at a desk for 8, 10, 14 hours a day? No? Not everyone must learn to code, regardless of what the tech press and others say. Perhaps it’s worth asking them what they code in first before jumping on their words of wisdom. Consider coding and software development as a lifestyle choice, one where everyday is a challenge, sanity losing sometimes but rewarding in others. A bit like playing the guitar, you never stop learning…..